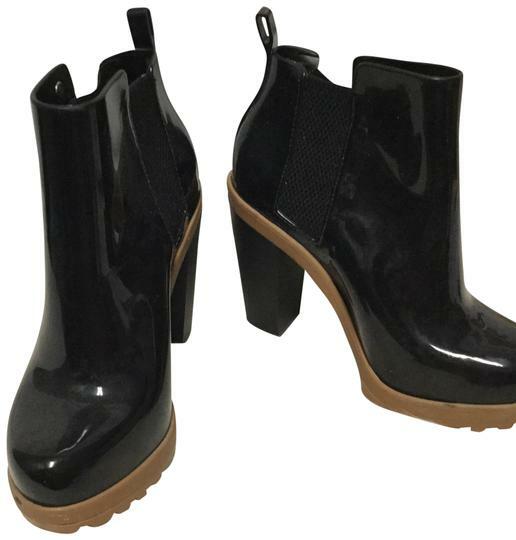 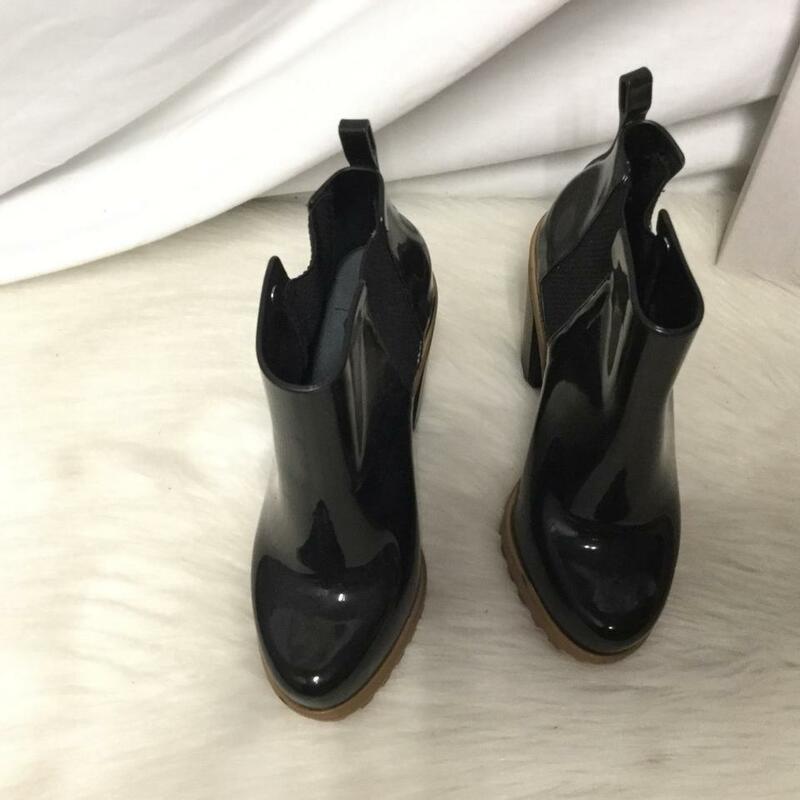 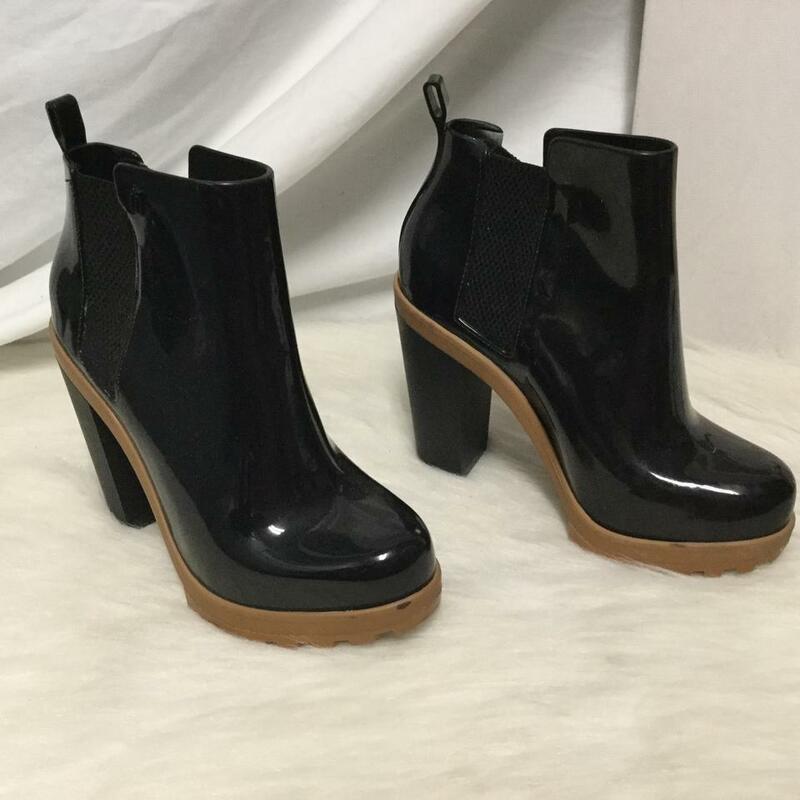 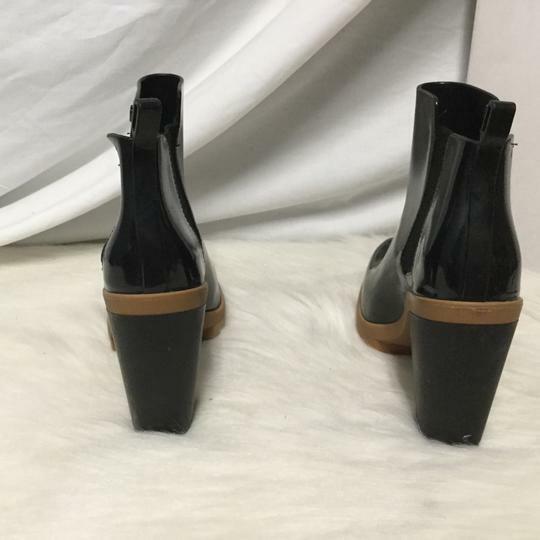 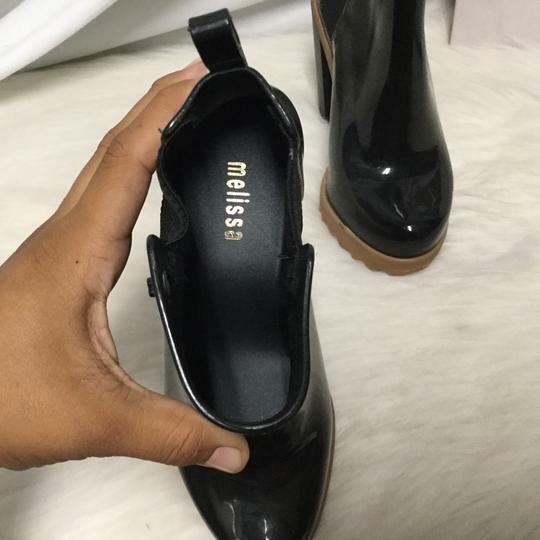 Glossy rubber Melissa booties with chunky, contrast platform and matte acrylic heel. 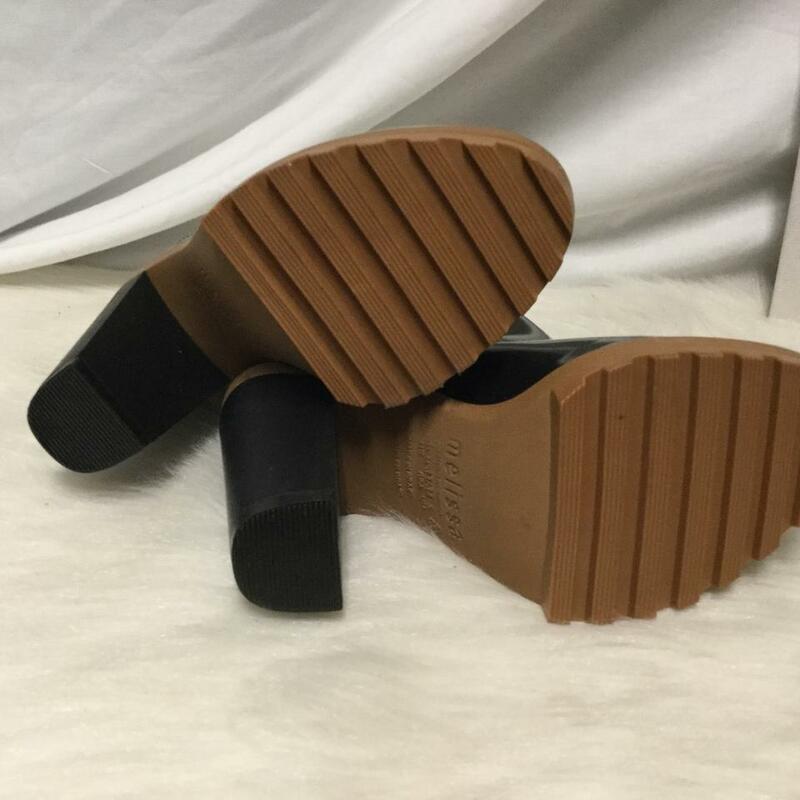 Easy pull on with rigged rubber sole. If you need to be in style while it’s raining these are for you. 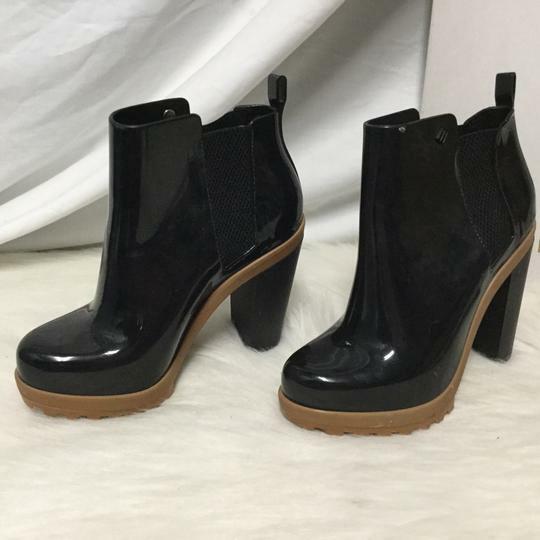 Awesome, classic, stylish and just super chic.